California has found itself in a legal standoff against the federal government and Trump administration over a variety of issues, but one could affect union workers who want to decline union membership. “California Gov. Jerry Brown has signed a law that aims to give public employee unions legal cover from potentially expensive lawsuits demanding that they repay certain fees to workers that the Supreme Court in June determined were unconstitutional,” reports The Fresno Bee. The Supreme Court’s 5-4 decision ended a 41-year precedent that allowed public sector unions to collect “fair share” fees from workers who declined to join a labor organization but were still represented, according to the newspaper. Photo credit: Mandel Ngan/AFP/Getty Images as reported by NPR on 9/21/18. A Trump administration official will testify out of court about a controversial Census citizenship question, due to a judge’s order. 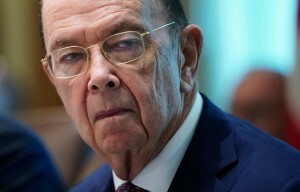 “A federal judge has ordered the Trump administration to make its main official behind the 2020 census citizenship question — Commerce Secretary Wilbur Ross — available to testify out of court for the lawsuits over the hotly contested question,” National Public Radio reports. Ross will sit for a deposition, per the order of U.S. District Judge Jesse Furman in Manhattan federal court. “Furman has limited questioning of Ross by the plaintiffs’ attorneys to four hours, noting that the commerce secretary has already testified in Congress and the administration has released a record of internal documents about his decision to add the citizenship question,” according to NPR. Sean Kayode is shown outside the Next Door homeless shelter in San Francisco on July 26, 2018. Photo Credit: David Gorn/CALmatters as reported on 9/13/18. A lawsuit would halt California from impounding vehicles and leaving residents homeless. 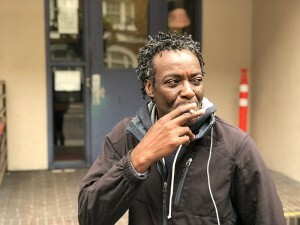 Jude Pond of the Lawyers’ Committee for Civil Rights in San Francisco helped file a lawsuit on Kayode’s behalf “to challenge the California law that allows cities to tow a car away if that car has five or more overdue parking tickets,” the news station reports. Companies will begin complying with a California law requiring female board members while waging a flurry of expected lawsuits, The Union-Bulletin in Walla Walla, Wash., reports. “California’s new law requiring companies to include women on their boards of directors may not survive widely expected legal challenges but it has already spotlighted the entrenched practices and barriers that have helped keep women out of boardrooms,” the article notes. By the end of next year, the law requires at least one female director on the board of public corporations headquartered in California. “Companies with more than six board members would need three female directors by the end of 2021. Those with fewer than six members would need two women. …” the article explains. “The law imposes a $100,000 fine for a first violation and a $300,000 penalty for subsequent violations, not huge sums for major corporations. Nevertheless, companies will likely begin efforts to comply with the law even as they keep track of — or participate in — legal efforts to block it, said Wendy Patrick, a professor of business ethics at San Diego State University,” the Union-Bulletin reports. Drivers who complained that “Uber misclassified them as independent contractors to avoid having to reimburse them for gasoline, vehicle maintenance, and other expenses,” were dealt a legal setback last month, according to a Reuters report in The New York Times. “Uber Technologies Inc won a legal victory on Tuesday as a federal appeals court said drivers seeking to be classified as employees rather than independent contractors must arbitrate their claims individually, and not pursue class-action lawsuits,” the news report notes. In a 3-0 decision on September 25, the 9th U.S. Circuit Court of Appeals in San Francisco reversed a lower court judge’s denial of Uber’s motion to compel arbitration in three lawsuits.